BMW M4 Running Costs, MPG, Economy, Reliability, Safety | What Car? Driving one of the best performance cars on sale comes at a price, so you’ll need deep pockets to buy an M4 coupé or Convertible with cash or on monthly finance, while running one as a company car doesn’t really make financial sense. That said, its main rivals all costs around the same amount, so aren’t any kinder to your wallet. 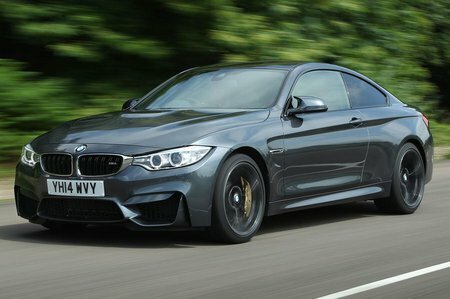 With its turbocharging and fewer cylinders, however, an M4 will cover more miles to the gallon than a Mercedes-AMG C 63 Coupé. Even so, don’t expect it to be a frugal choice, especially when driven hard. This theme continues when you consider other running costs, because buying new tyres for the M4’s large, wide wheels will cost plenty, while its servicing, insurance and tax demands are considerable. Still, it’s likely you’ll have factored this in already if you’re shopping for something in this class. Fortunately, because the M4 is so well equipped as standard, it’s not necessary to spend much on optional extras. It has plenty of safety kit, too, and the BMW 3 Series (upon which the 4 Series is based) achieved the maximum five-star rating in its Euro NCAP crash tests. BMW has an average reputation for reliability, but all of its cars have a three-year unlimited-mileage warranty. Extended warranties are also available.